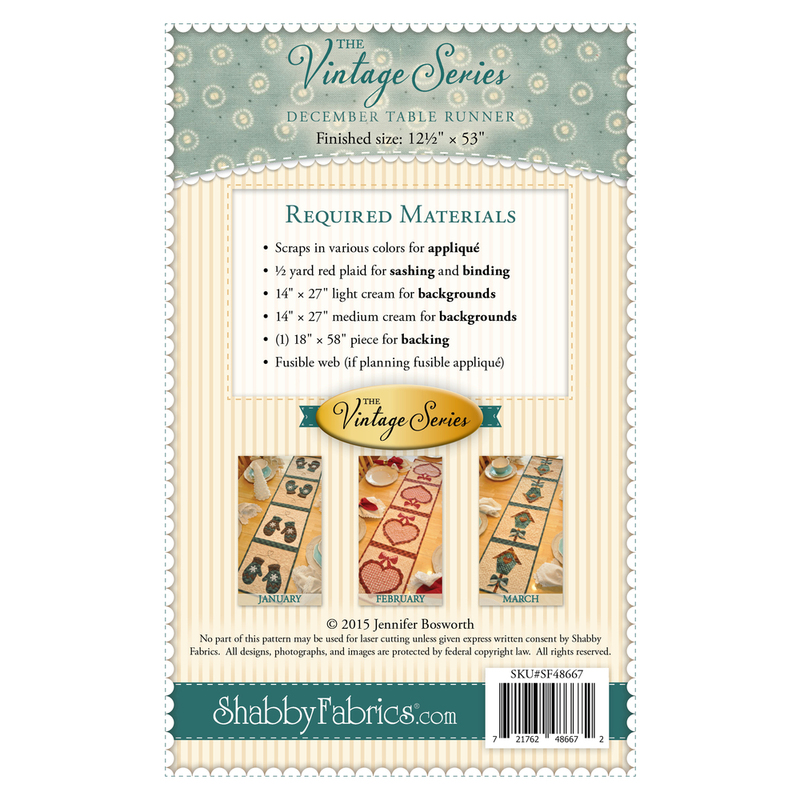 Decorate your home all year long with a beautiful table runner from The Vintage Series by Jennifer Bosworth of Shabby Fabrics. 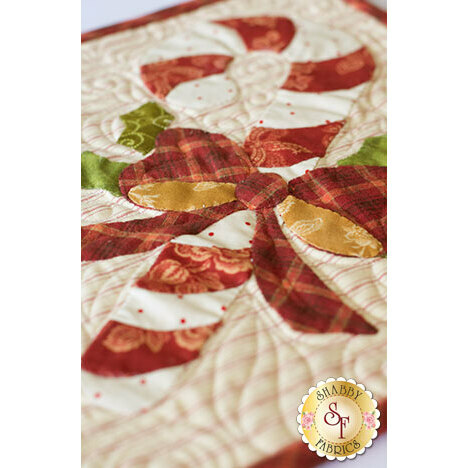 This pattern is for the December design. 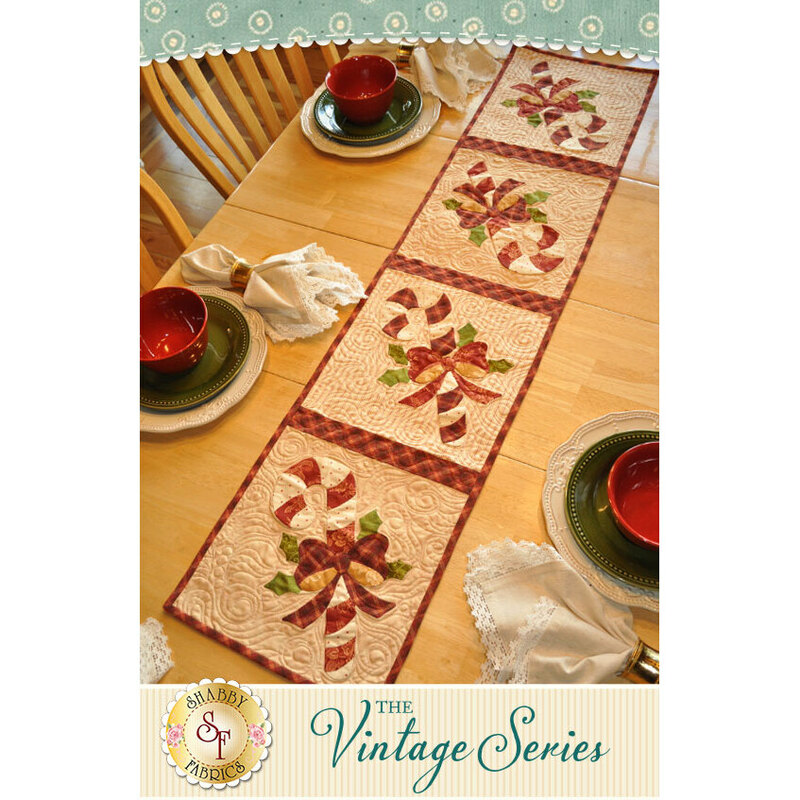 Table runner measures approximately 12 1/2" x 53".